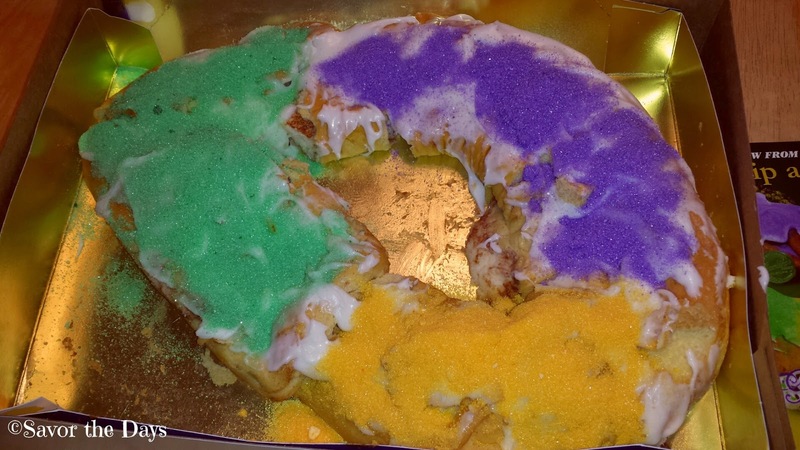 Savor The Days: King Cake! Granddad sent us our annual authentic king cake for Mardi Gras. We're sad that we can't be in Louisiana to experience Mardi Gras in person but this is the next best thing! 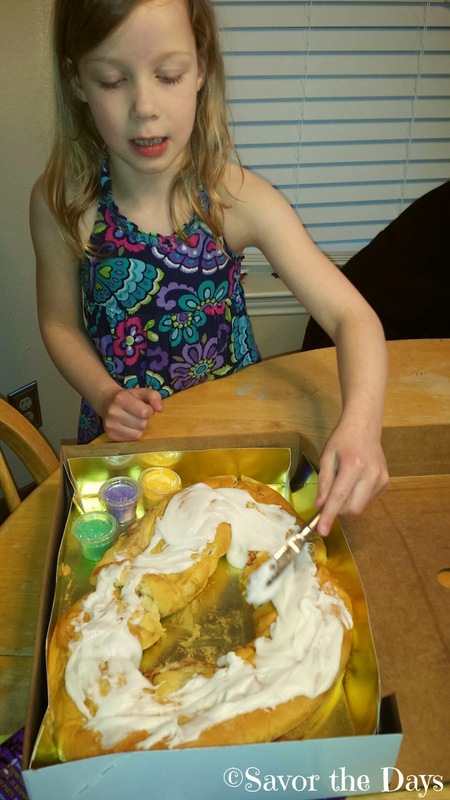 The Gambino's king cake is always delicious but it is also fun because the kids get to decorate it themselves. It comes with all the icing and sugar crystals that you need. First you smear the yummy icing all over the top of the cake. Next you sprinkle the top with purple, green, and gold sugar crystals. Sometimes it is hard to wait for it to get decorated before you dig in! But be careful, king cakes traditionally have a little plastic baby inside. The person who gets the baby in their slice of cake has to buy the next king cake! Happy Mardi Gras (from Texas)!